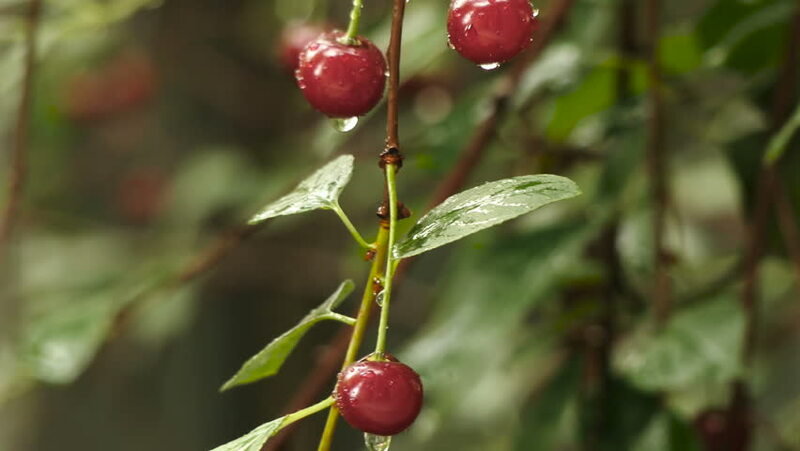 Close-up view on ripe red cherries under the rain drops. Summer ecological organic agriculture harvest.Summer rain in rustic cherry orchard. 4k00:13Close-up view on ripe red cherries under the rain drops. Summer ecological organic agriculture harvest.Summer rain in rustic cherry orchard. 4k00:14Close-up view on ripe red cherries under the rain drops. Summer ecological organic agriculture harvest.Summer rain in rustic cherry orchard. 4k00:10Red berries on the bush . Shrubs red berries .